Do you enjoy the color yellow and all the life, energy, and vitality it brings? This eyeglass necklace holder might be the perfect accessory for you! 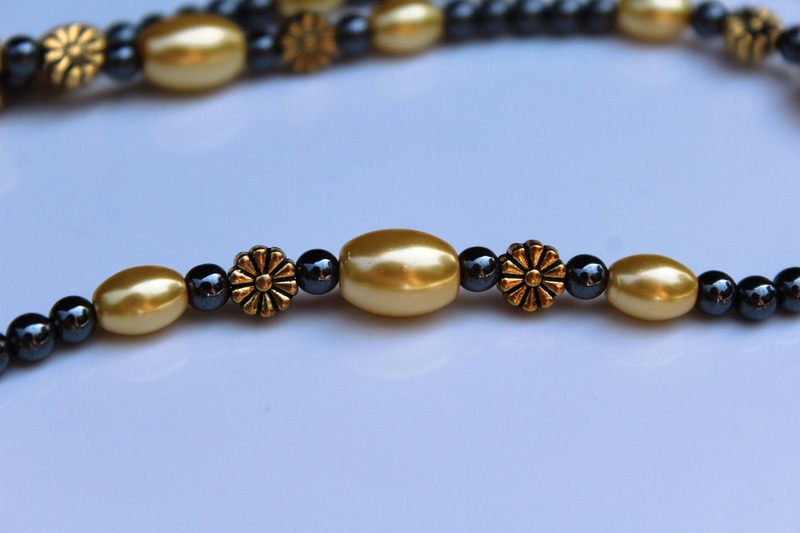 It is made with yellow and black beads which allows the yellow beads to really pop as they contrast against the darker color. 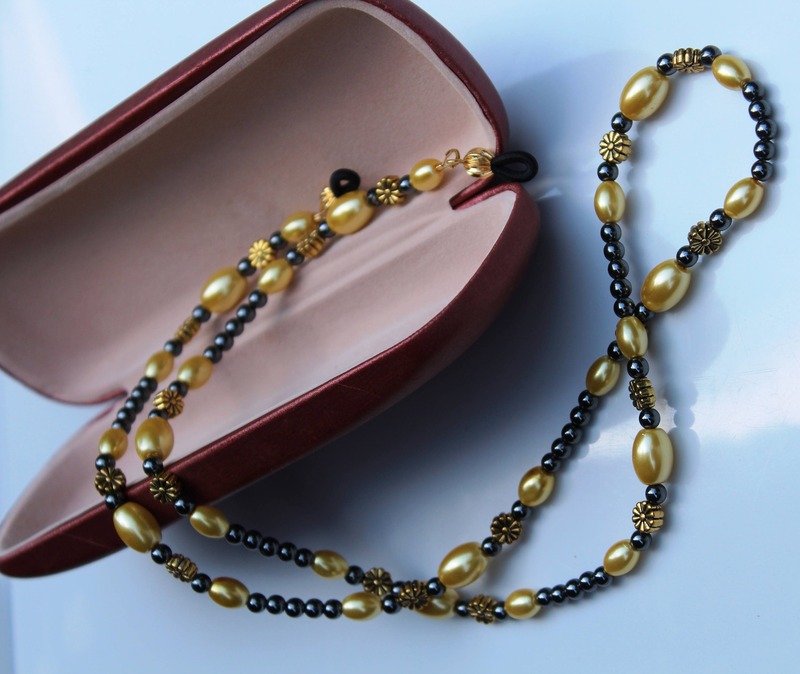 It looks pretty enough to be a necklace, but is actually a useful and beautiful eyeglass chain. Jazz up your glasses, your outfit, and your day with this one! 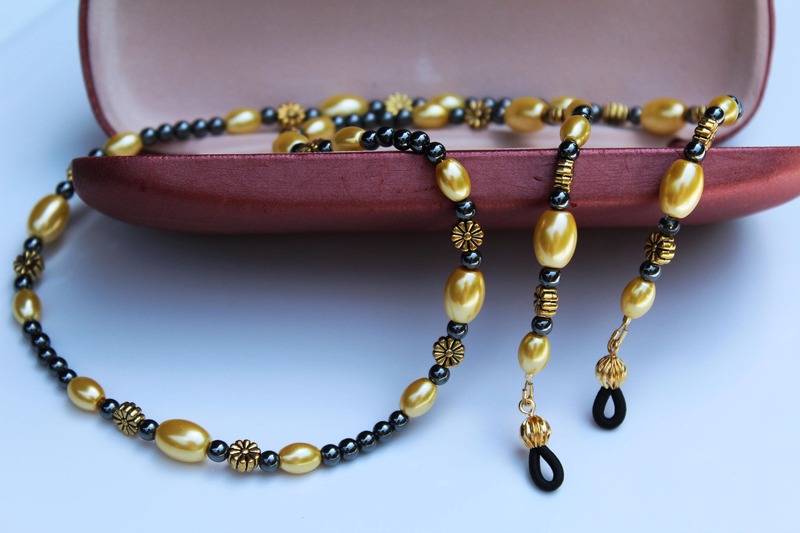 The largest yellow bead used in this chain is approximately 11x8mm. The entire eyeglass chain is approximately 28.5 inches long. 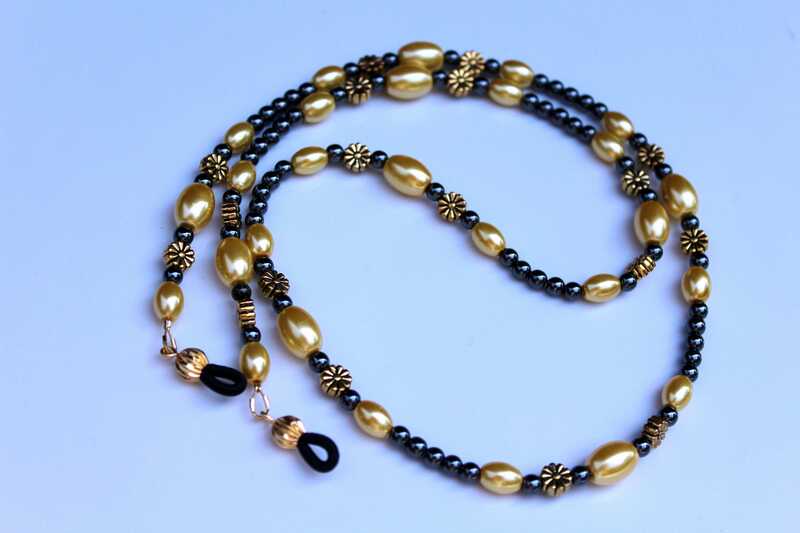 This eyeglass chain is an original creation, designed and handmade by Michele of MichelesAManoDesigns.